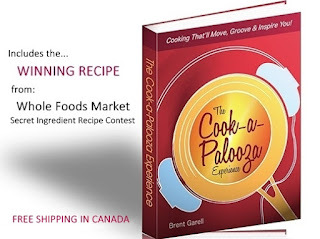 The Cook-a-Palooza Experience: Marinated Tuna Steak - Lively Up Ya Taste Buds Mon! 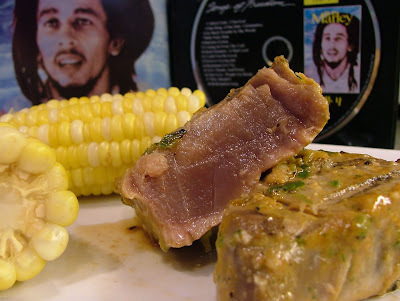 Marinated Tuna Steak - Lively Up Ya Taste Buds Mon! I think I’m fairly safe in presuming most people have heard a Bob Marley song. Maybe it’s “No Woman No Cry”, “Stir it Up” or one of his many other hits. But have you ever heard his song “Lively Up Yourself” (a song he regularly used to begin most of his concerts) or “Kaya”. If you haven’t, I’m not surprised. Both are fantastic Bob Marley offerings but I have yet to hear them played on popular radio stations. I think the same thing happens with tuna. Many people can claim to have had canned tuna but they may have never tried a tuna steak? I could include myself in that category until very recently. 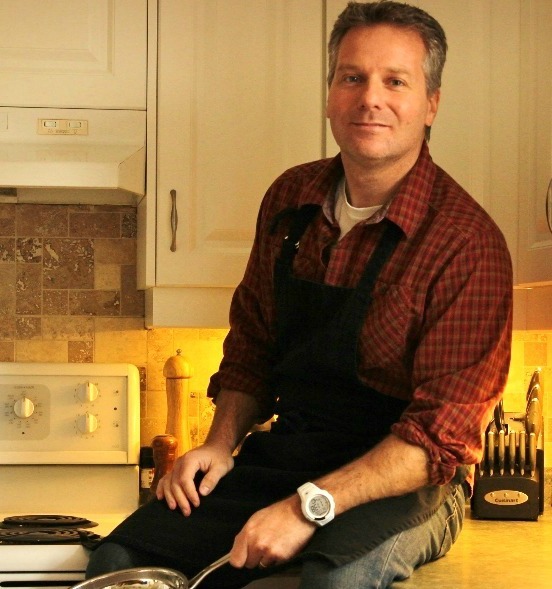 I had seen tuna steaks cooked on TV many times but had never tried preparing them for myself. Thankfully I took a chance and bought some at the grocery store. I figured they would go well with the marinade I had posted this past Tuesday (minus the green onions). Turns out they did and now I wonder why I had never tried them before because I have definitely been missing out! Tuna steaks are by far the easiest fish to cook. Two minutes each side on a very hot grill. That’s it! The outside is cooked but the inside remains raw. This is a sticky spot for some, me included. I’m not into eating sushi so I had to get my head around eating raw fish. However once I did that I was good to go! I didn’t think I would enjoy the rawness of it but I didn’t notice it at all. I found it more similar to a very tender medium-rare steak and it tasted awesome! I was raving about it to anyone who would listen to me! Poor souls. The experience was highlighted with a Bob Marley vibe. Not the popular stuff but tunes such as "Soul Shake Down Party" "Small Axe" and "Do It Twice". The songs you never hear on the radio. They bring a whole new appreciation to Bob Marley’s music. So if you’ve never heard of the Bob Marley songs I’ve referred to, I highly recommend you give them a listen. And if the canned variety of tuna is all you’ve experienced why not dive into the world of tuna steak. It might just lively up ya taste buds mon! In a blender combine, garlic, cilantro, jalapeno pepper, paprika, brown sugar, lime juice, salt, pepper and oil. Blend just until combined. Place tuna and marinade in a large resealable plastic bag and let marinate in the refrigerator for at least 30 minutes. 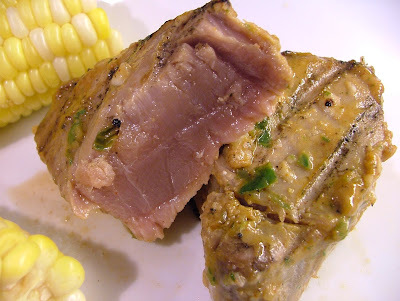 Place tuna steaks on a very hot grill and grill for 4 minutes (2 minutes per side). Only the outside should be cooked. The inside should remain raw. Serve.